A Daily Dose of Fit: Hello, January! Can you hear me? I hope so. A little softer, I'll add: "Hello, you!" 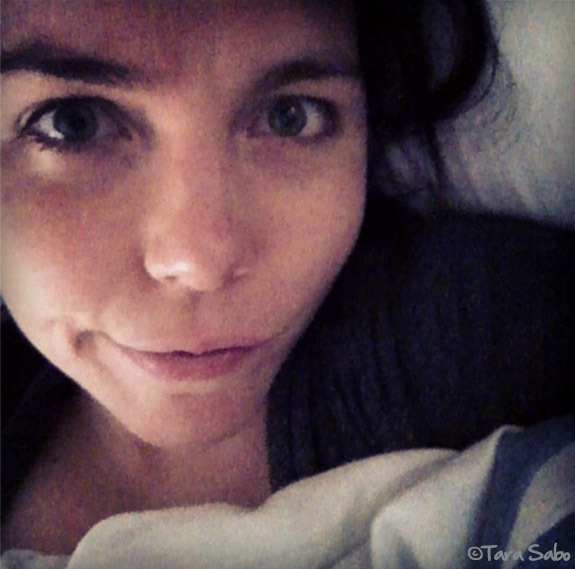 Sick in bed with various forms of the flu (I'll spare you the details). And when you're pregnant, there isn't much you can do in terms of medication, so I just dealt with it. And this, unfortunately, meant that I couldn't hit the workouts like I truly wanted to. My body needed rest. A lot of it. Needless to say, it's not exactly how I envisioned the end of my 2013. But yesterday, oh yesterday I got a head start on 2014. 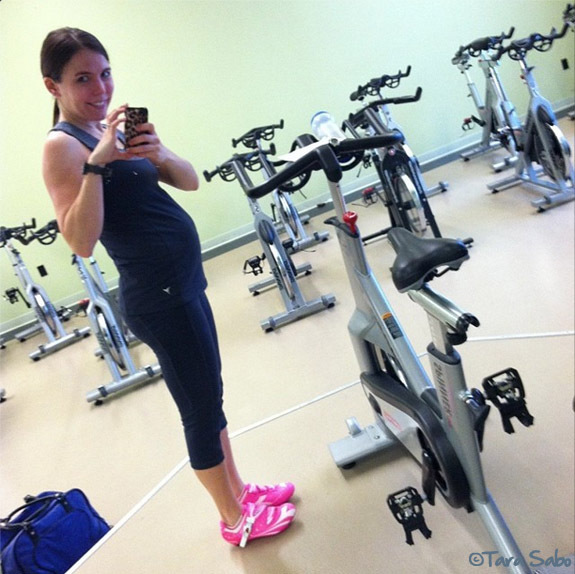 The bump and I got back in the saddle after almost three weeks of not teaching. It felt so good to ride again. We did a mix of intervals: Flats followed by standing climbs followed by some sprints at the end of those climbs. Of course, I pulled back my own intensity in the sprints. Man, that bike sends my heart rate soaring! I'm used to pushing it, but with Baby on board I have to be a bit more careful about that. The old standard recommends a heart rate around 130 for exercising mamas, but I think that research has since been proven wrong. Which is good for me because 130 barely makes me break a sweat. In all my workouts, I push to a point that works for me right now. This was especially the case yesterday as it was my first workout back after being so sick. • A fresh start in good health. • New beginnings at the gym. • Seeing Baby in a second ultrasound. Question: What are you looking forward to in January? My daughter. She turns two today.